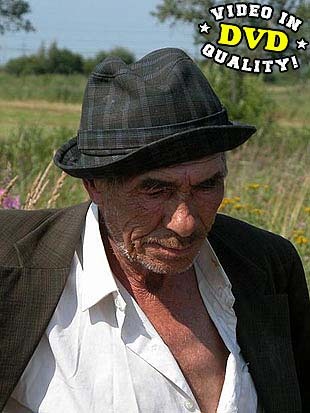 Grisha, a 72 yo bum, the last romantic. Front line soldier, fought on the 2nd Belarusian front, reached Warsaw. Spent his years working as an accountant on a plant, always dreamt about appearing in cinema. Here's a bum called Kolya who does not at all care about the way he looks. Got genital crabs last year, too poor and too lazy to get rid of them. Thinks scrubbing is much easier. Matvey, a 43 yo bum who spent 7 years behind the bars for theft. A big boss in his region. Once he was walking around the gas station and spotted the beautiful Olga. Timofey, 64 years old, spends his life on the road. He wants to write a book about his travels. Is not particularly interested in girls, thinks that no woman no cry. Once he got into serious trouble.